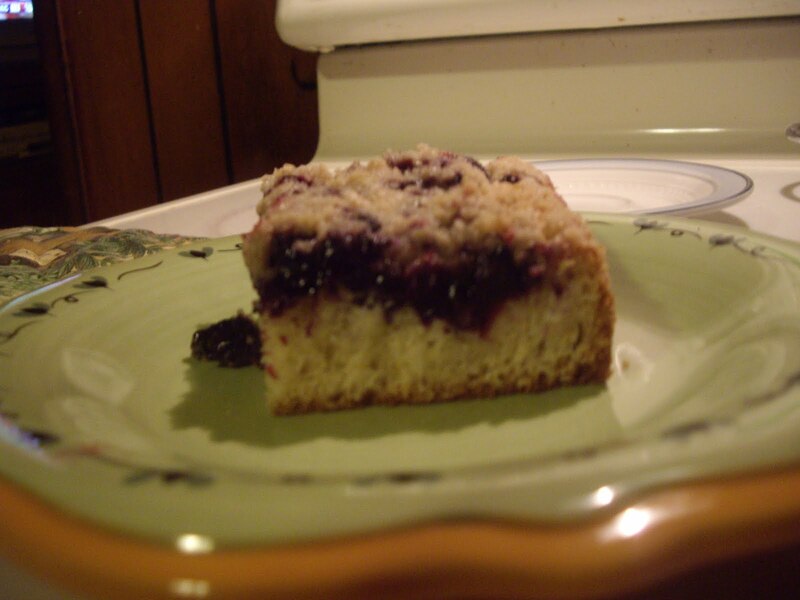 Blueberry buckle is like a coffee cake with blueberries sprinkled over before baking. 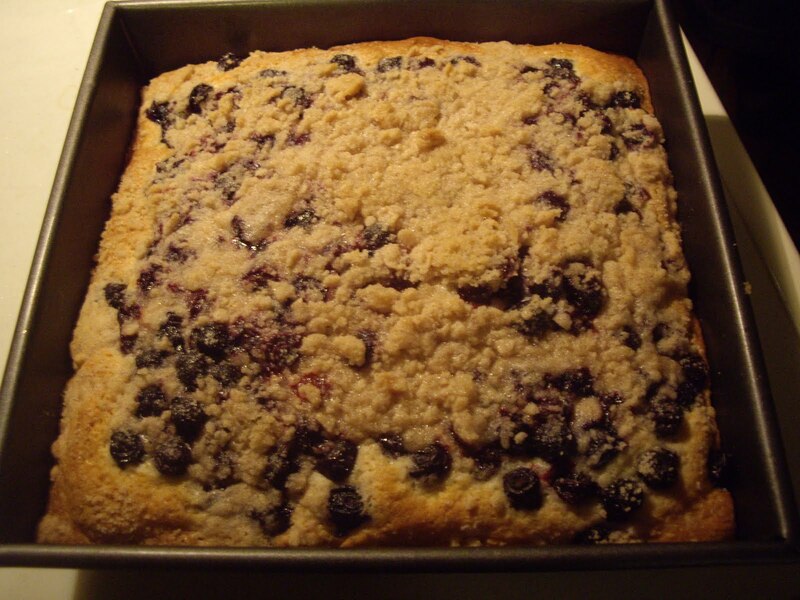 It is great made with fresh or frozen blueberries. Grease the bottom and 1/2 inch up the sides of a 8″ or 9″ square baking pan. Combine the 2 cups flour, salt and baking powder. Set aside. In another bowl, pour your oil. Add the 3/4 cup sugar and blend well. Add the milk and flour mixture alternately. Make sure mixture is smooth after each addition before mixing more in. Spoon that batter into the baking pan. In a small bowl, combine the 1/2 cup flour, 1/2 cup sugar, and cinnamon. Cut in the butter until it is crumbly. Sprinkle the crumbles over the blueberries. Bake in the preheated oven for 50-60 minutes or until the buckle is golden. To make a raspberry buckle, just substitute raspberries for the blueberries. Do everything else the same.